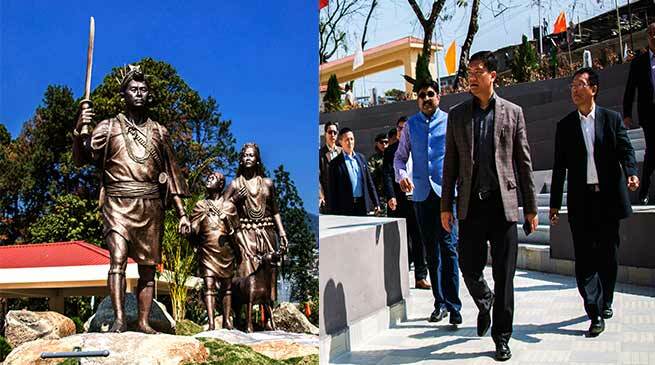 Chief Minister Pema Khandu today inspected the newly constructed state-of-the-art Dorjee Khandu State Convention Centre at IG Park today. Prime Minister, Narendra Modi in his visit to the state on February 15 next, will inaugurate the centre. Earlier in the morning, the Chief Minister had a review meeting with Governor Brig (Dr) BD Mishra (Retd) to discuss on the visit of Prime Minister, which was also attended by Chief Secretary Satya Gopal.